If you are looking to tie the knot in the near future, you may now be researching a wide range of potential venues, wedding cars, photographers and other services and suppliers to ensure your wedding will be memorable for all of the finest reasons. However, making your wedding a success isn’t simply a matter of selecting your favourites among the above. That’s because you will also need to consider the overall theme for your big day that could be instrumental in tying all of these elements together. Here are a few of the wedding themes to have emerged in 2018 that have especially caught our eye. Using a single colour – and different shades of that colour – as a unifying theme for your wedding grants you a broad range of creative possibilities. Whether you select UltraViolet as a wedding theme simply because you adore the colour and its associated qualities, or perhaps due to admiring such cultural giants to have become linked with it as the musicians Prince and David Bowie, it could be an excellent hue to incorporate across your nails, hair and eyeshadow. It also gives you ample excuse to opt for flowers such as lilac and hydrangea. Not only are the items and furnishings that you may associate with a vintage wedding old, but so – it sometimes seems – is the vintage theme itself. However, while it may have been ‘in vogue’ for a while, vintage is a wedding theme that has undergone yet another revival in 2018. 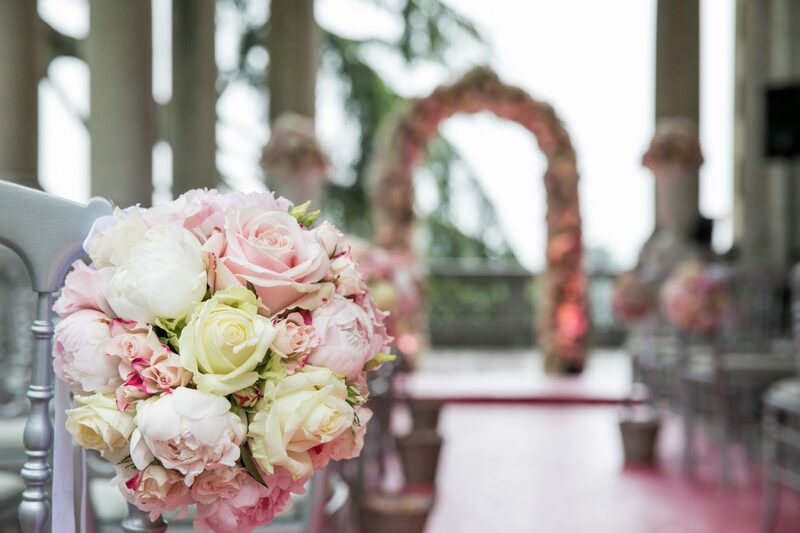 It is a theme that is especially well-suited to chateau wedding venues such as our very own Château Bouffémont, which provides an excellent historic backdrop comprising jaw-dropping function rooms with refined interior decor and crystal chandeliers. Such an enchanting heritage venue could give you the perfect basis for an elegant, vintage-inspired wedding where you are also unafraid to flaunt your creativity with regard to what you wear and how you decorate the venue and set the tables. As Cosmopolitan explains, the term ‘boho’ is short for ‘bohemian’ and is especially associated as a style with the 1960s and ‘70s hippie movements. However, it also offers considerable scope for inventiveness, given the broad range of fashion subcultures and periods from which the ‘boho’ style customarily borrows. A boho wedding, then, is essentially one that is eclectic, representing a good choice for creative and open-minded couples, given its relaxed attitude to everything ‘matching’. However, that doesn’t mean a successful boho wedding is simply about throwing together any old elements that would otherwise never belong in the same place. Instead, the emphasis is typically on combining items and styles that you may expect to ‘clash’, but which instead co-exist in beautiful, jaunty harmony. If your wedding looks set to take on a ‘DIY’ vibe – for example, you are contemplating drawing upon your arts and crafts skills to create your own wedding invites, decorations and wreaths – a ‘rustic’ theme could be a wise choice. The term ‘rustic’ relates to rural elements, including those that may appear to have been made or constructed in plain and simple fashion. This style can also sometimes be referred to as the ‘barn’ style and can be achieved with such touches as large wooden beams, ornaments and floral elements. The colours are usually warm, cosy and homely, such as browns, pale yellows and reds. 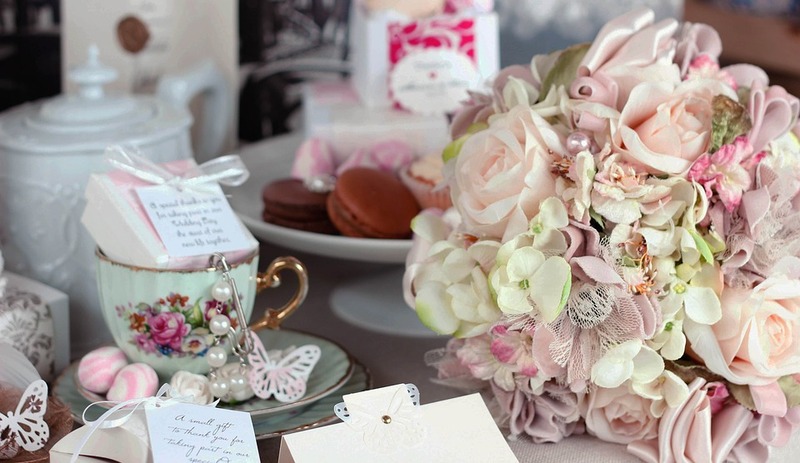 Which of these wedding themes most intrigue you? Alternatively, perhaps you have some other ideas for a theme for your upcoming nuptials? As Natasha Ivanovic has recently outlined for the Broomstick website, there are many steps involved in deciding on a wedding theme, so we would advise you to take great care and consideration with your choice. Previous Post What’s the Difference Between Life Coaching and Therapy? Next Post The Perfect Day Off – Kick Back and Relax or Get Busy?